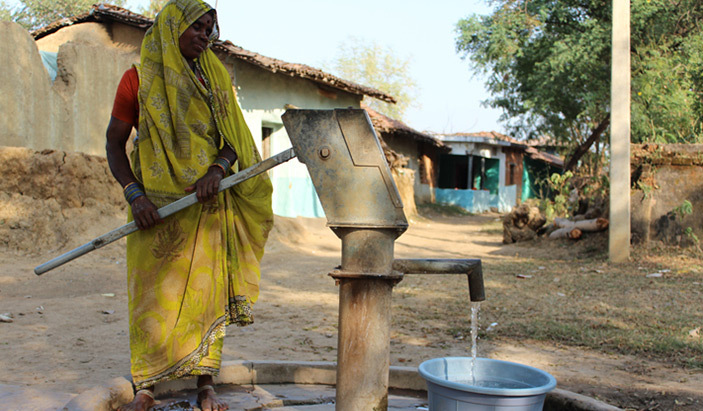 WtRF in India is a community-based in situ adaptation project to increase resilience of Adivasi women to shocks and stresses around water, owing to climate change in Jashpur district of Chhattisgarh. While Phase I of the project focused on research for situational analysis, followed by improved water management for adaptation planning, the interventions of phase II seek to address chronic risks like food and water insecurity due to climate change and how it impacts Adivasi women’s access, control, and management of natural resources. Invariably all project villages are dominated by Adivasis; women constitute around half of the total population; the average family has five members and the average number of households per village is 174. Jashpur district receives a normal rainfall of 1400 mm with 65 rainy days a year, however, there has been a sharp decline in rainfall since 1990. Water levels in the district’s wells have been falling, and the change in rainfall has severely and adversely impacted the local food production system. Availability and access of forest-dependent households to Non-Timber Forest Products (NTFPs) – essential for household food security – has reduced. In all villages, agriculture has shifted from multi-cropping to mono-cropping. The project has so far promoted strong community institutions to increase Adivasi women’s access, control, and management of resources; developed a cadre of community animators; forged linkages of Adivasi households with various Government departments for various inputs, services, and entitlements; piloted crop improvement and diversification; and initiated work on improved soil, land, water, and forest management with community participation in project villages. 15 plots of 15 households where 5% model developed; one masonry check dam developed; one pond renovated & six percolation tanks were developed.